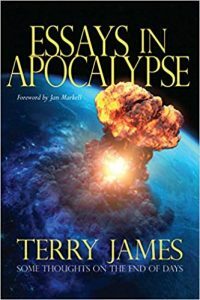 Essays in Apocalypse: Some Thoughts on the End of Days delves into all aspects of where this generation stands at the very end of the Church Age. Terry James opens with three areas of interest much on the minds of those who intensively examine the issues and events of these closing days. A tense world struggles in chaos… and the clock is ticking.